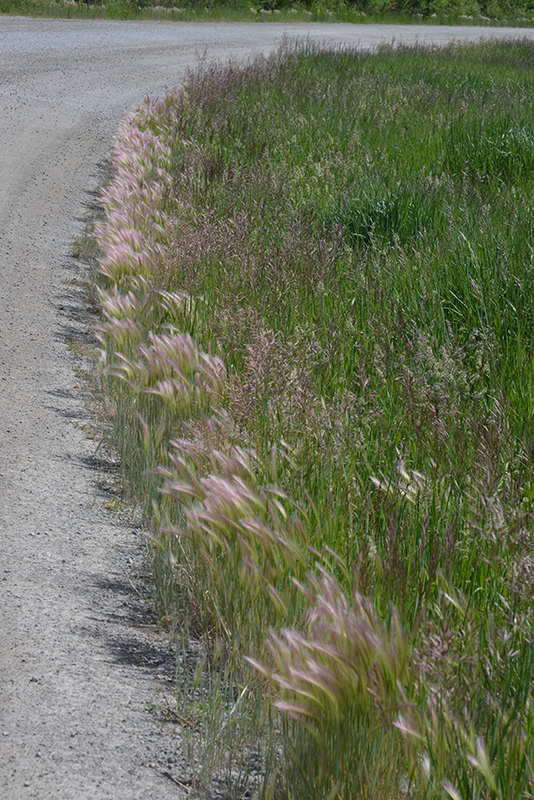 Driving down our roads, over a dozen rambunctious plants – “weeds”– catch the eye in early July. 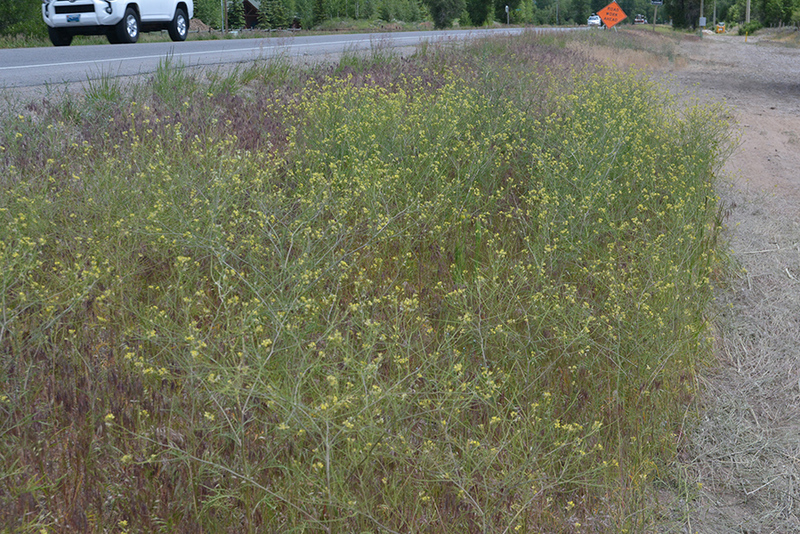 “Weedy” plants proliferate along disturbed edges of roads, ditches, etc. Foxtail Barley is easily recognized. 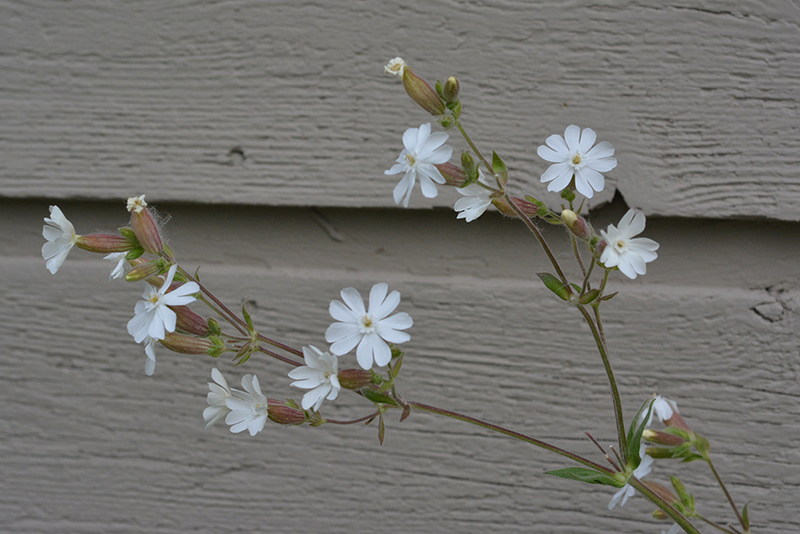 It is a tenacious local or “native”growing along road edges. With a bit of practice, even from a distance, you can identify the big patches of plants: windshield botany. Different terms help describe their origins. Many “weeds” are introduced to this area from afar–these we call “non-native” species. Some non-natives are beautiful and benign—spreading slightly beyond our human landscapes—“naturalized”; other non-natives may be beautiful (or not) but are terrors—they spread in large numbers from roadsides into neighboring natural and agricultural areas altering their quality–these we call “invasive exotics”. 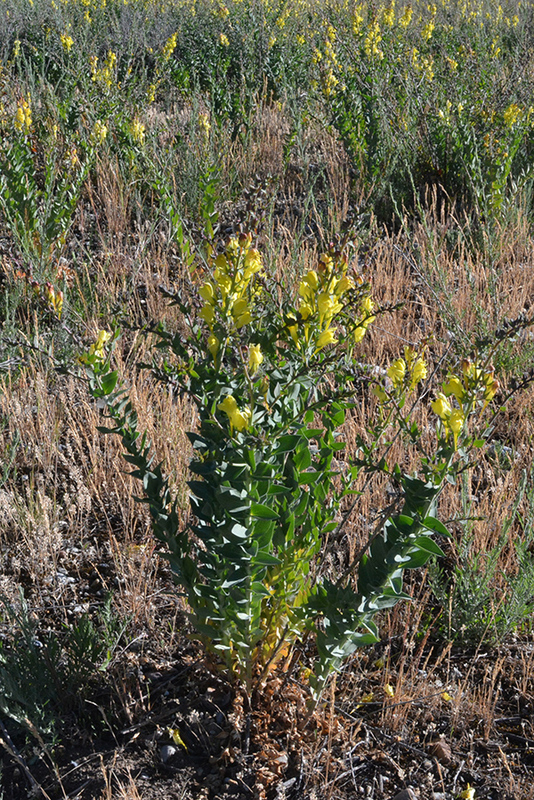 “Noxious weeds” are those listed by various agencies for control. A few roadside plants are wonderfully resilient “natives”—locals that know how to get along in particularly tough, transient circumstances. “Weed” is a loose term used by gardeners for plants out of place and by the public for those untidy, rampant interlopers—e.g. plants we don’t want around. 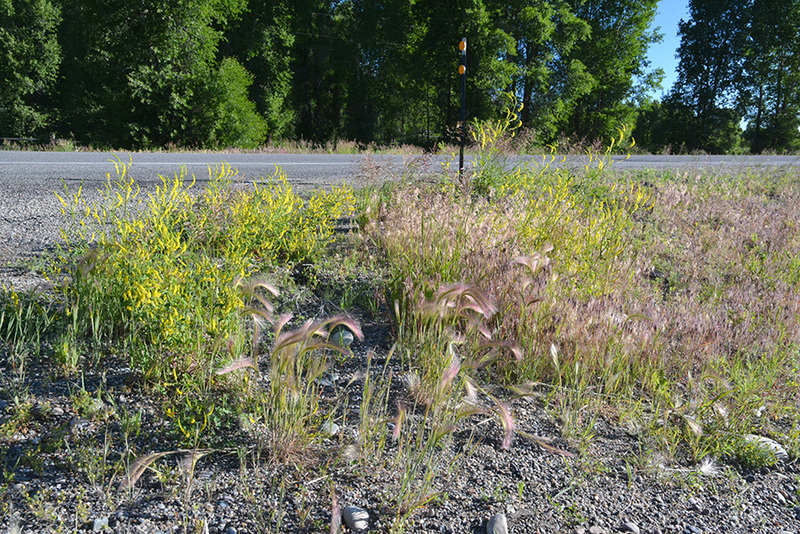 Wherever they are from, these common roadside species are interesting plants to investigate. All the plants described here adapt well to disturbance. 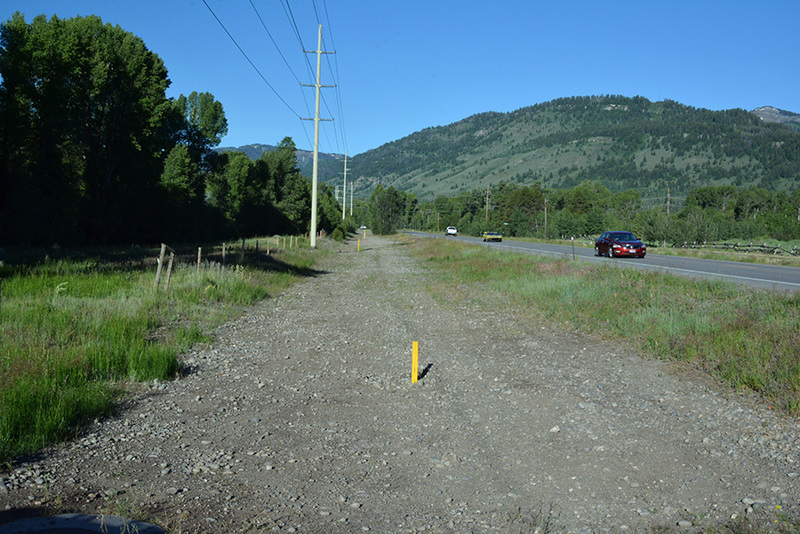 Human disturbances are created during road, bikeway, and ditch construction and maintenance; utilities installation; and overgrazing. Natural disturbances include landslides and flood-scoured shorelines. Most “weedy” plants grow and propagate profusely in full sun, extreme wind, heat, and poor soils. Many newcomers spread from nearby gardens, vehicle wheels, bird or cow poop, and muddy shoes or paws. They are often annuals or biennials: plants that grow, set seed, and die within in a year or two. They typically disperse 1000s of seeds per plant—their genetic survival strategy. Perennial weeds have extensive root systems that enable them to form dense colonies, out-competing other species for resources. 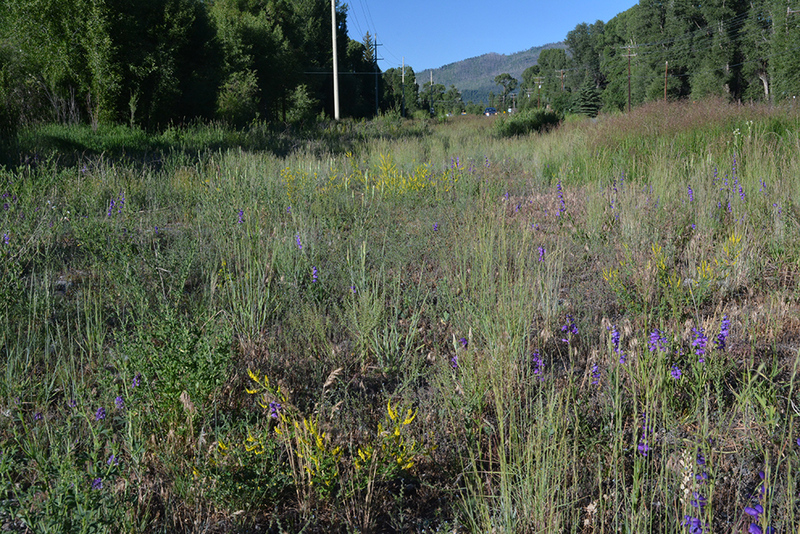 Invasive exotics and noxious weeds affect the productivity of our agricultural fields and the natural diversity of our native habitats. Yarrow – Achillea millefolium – Yarrow grows in temperate zones around the northern hemisphere—circumboreal. It has medicinal qualities historically used by Achilles during the Trojan War (hence the latin name: Achillea) and by our Native Americans, and still today by herbalists. The flat “cymes” of white flowers and soft, fern-like leaves have made this plant distinctive for millennia. 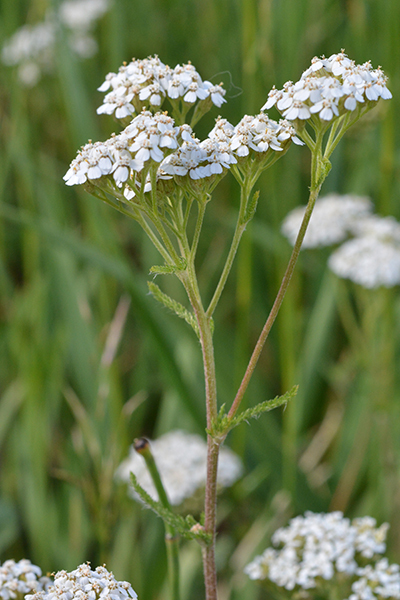 Yarrow is a member of the aster family and grows around the northern part of the globe. 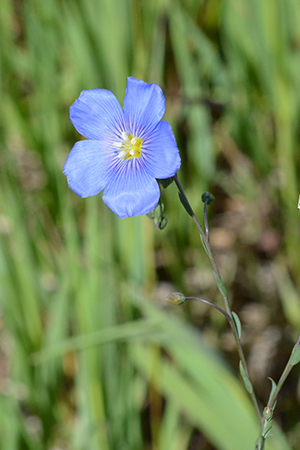 Blue Flax – Linum lewisii –These sky blue flowers open wide to the morning sun, thereby attracting bee and fly pollinators. Their many skinny, 1” leaves are arranged alternately on slender, 2-3’ delicately branched stems that bend with the breeze. It is related to the European Flax (L. usitatissimum), still used for making linen. This is a beautiful native found along roadsides and into sagebrush and montane communities. Lewis’ Flax was named during the Lewis and Clark Expedition. Its flowers reflect the blue sky. 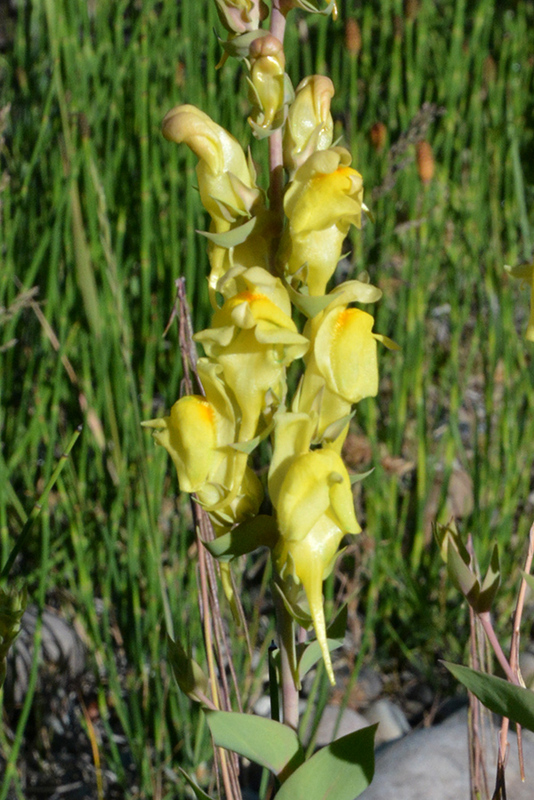 Dalmatian Toadflax* – Linaria dalmatica – Related to garden snapdragons, this persistent invasive exotic has yellow flowers with long spurs born arranged at the tops of straight, 2-2.5’ stems. Each plant can produce 500,000 seeds that can live in soils for ten years! Dalmatian Toadflax looks like our garden snapdragon. The yellow flowers with long spurs born at the tops of straight 2-2.5’ stems. Blue-green, stiff, arrow shaped leaves clasp the stems. Each Dalmatian Toadflax plant can produce 500,000 seeds and last 10 years in the soil. Here the offspring are spreading. Oxeye Daisy* – Chrysanthemum leucanthemum/C. vulgare – Introduced as a garden ornamental for its showy flowers, the wavy-lobed, 2-3” long leaves are unpalatable and irritable to both wildlife and livestock. 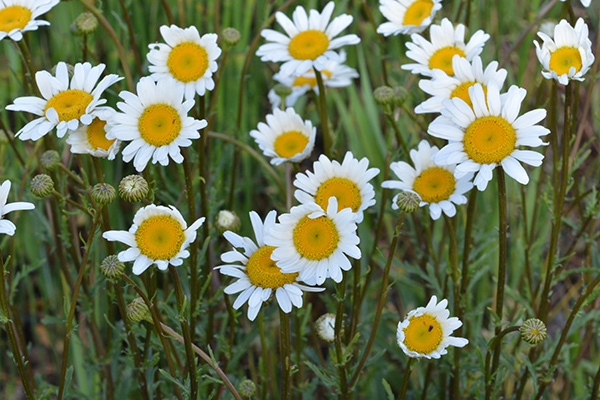 Oxeye Daisy invades readily into pastures and up mountain slopes by seed and root. While it is tempting to keep a few plants for flower arrangements, their side effects are not worth it! Bucolic Oxeye Daisies are not not benign and need to be removed from gardens and pastures. 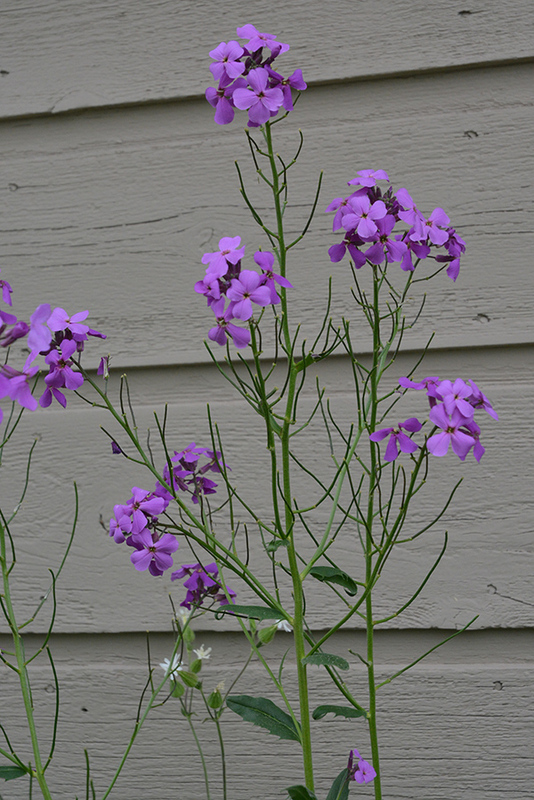 Dame’s Rocket* – Hesperus matrionalis – This attractive plant from Eurasia is a garden escape often found in our subdivisions. Note the 4 purple (sometime white) petals that flare at the ends. This is a large-flowered member of the Mustard Family and releases 1000s of seeds in a year. The fruits ripen into elongated siliques. These short-lived plants extend their roots quickly into new habitats, affecting wildlife values of aspen groves and the like. Dame’s Rocket spreads from our gardens into natural areas. Foxtail Barley – Hordeum jubatum – Not quite waving amber waves of grain, this shining blond-to-rose-colored grass festoons road edges. While the 8-12” plants look soft and silky, their grains are encased in stiff spears (awns and glumes) that deter grazing animals. The barbed seeds easily attach to passing tires, shoes, and fur. This is a tenacious native. Foxtail Barley feels silky until it dries it’s spines. Cheat Grass, Downy Brome* – Bromus tectorum – The scourge of grasslands throughout the West, this quickly growing annual is unpalatable to livestock or wildlife due to its sharp, hurtful awns. It crowds out nutritious native grasses and changes the ecology of shrublands and grasslands by altering the fire regime: the fast-curing plants provide tinder for fires from spring to fall. 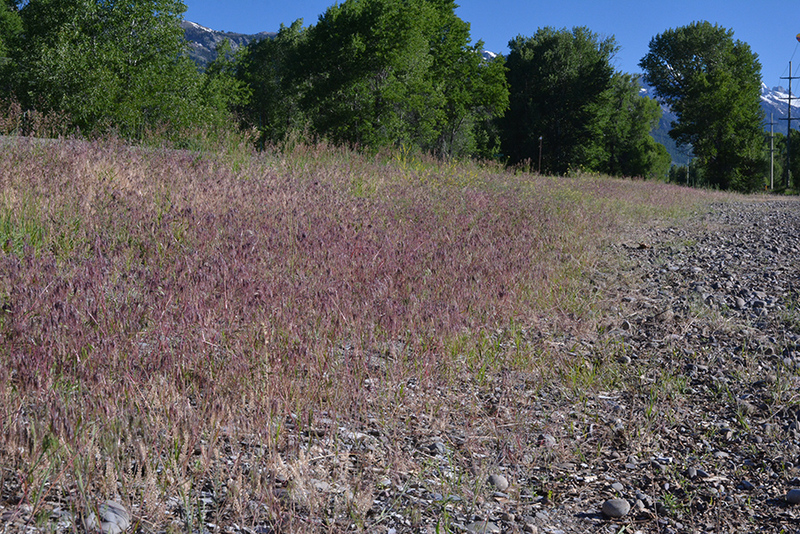 Look for the purplish to brown patches spreading from roads up the slopes of our buttes. Another grass, cheat grass is the scourge of our native grasslands, altering the beauty and ecology of our ecosystems. Cheat grass spreads like wildfire–in fact it spreads wildfire: The annual plants dry up by early summer providing tinder for any wayward spark. Yellow Sweet Clover – Melilotus officinalis – A member of the pea family hailing from Europe, this 2-5’ plant. can fix its own nitrogen, enabling it to grow on the poorest of soils. The tiny, yellow, pea-like flowers have a sweet fragrance from the presence of coumarin. In moist hay, coumarin can be converted by fungi into a poisonous anticoagulant, called dicoumarol—toxic to cattle. Natural area managers target Yellow Sweet Clover for its aesthetic and ecological alteration of our beautiful grassland and shrub habitats. 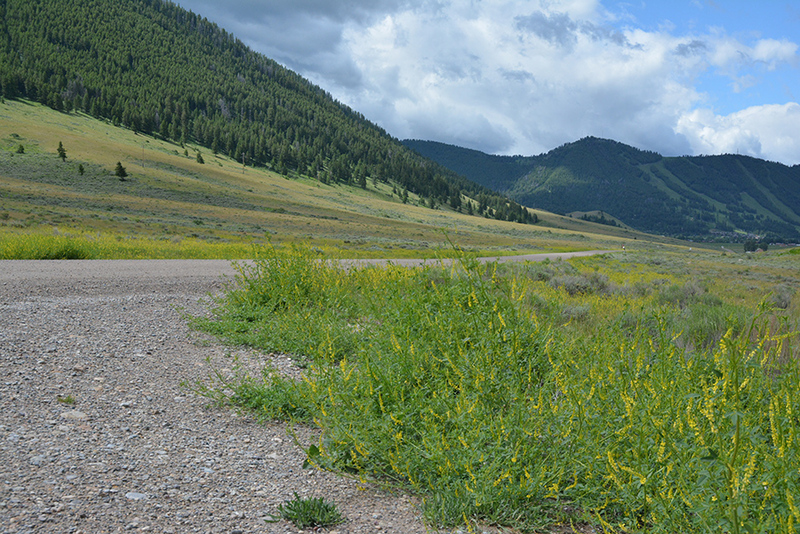 In Jackson Hole it is well established along roadsides and buttes. Yellow Sweet Clover is identifiable by its three-parted leaves and pea-like yellow flowers on 3-4′ stems. 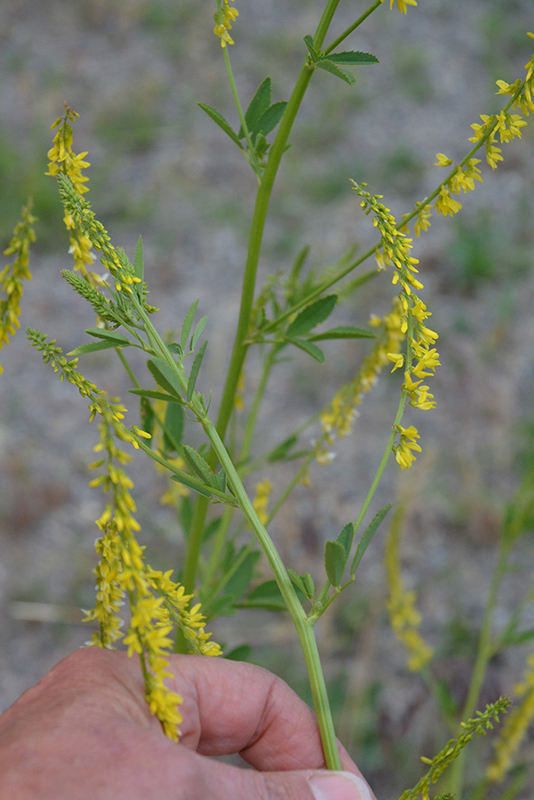 Sweet Yellow Clover is colonizing our roadsides and buttes. 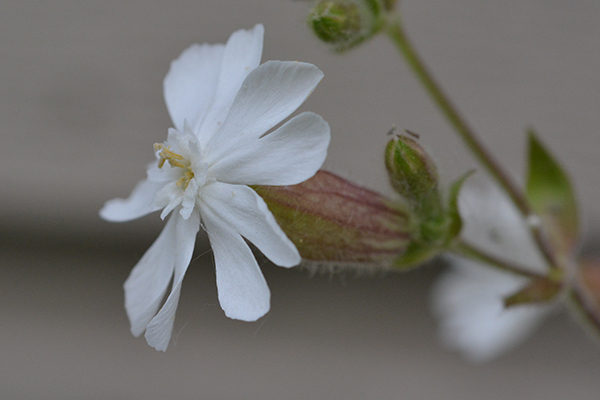 Bladder Campion – Silene latifolia – Introduced from Europe, this naturalized species is a delight to investigate. The fragrant white flowers bloom at night into the next morning, attracting moth, bee, and fly pollinators. Plants proffer either male or female flowers. The 5 sepals (outer whorl) form a sac and the five white petals flare out above it. 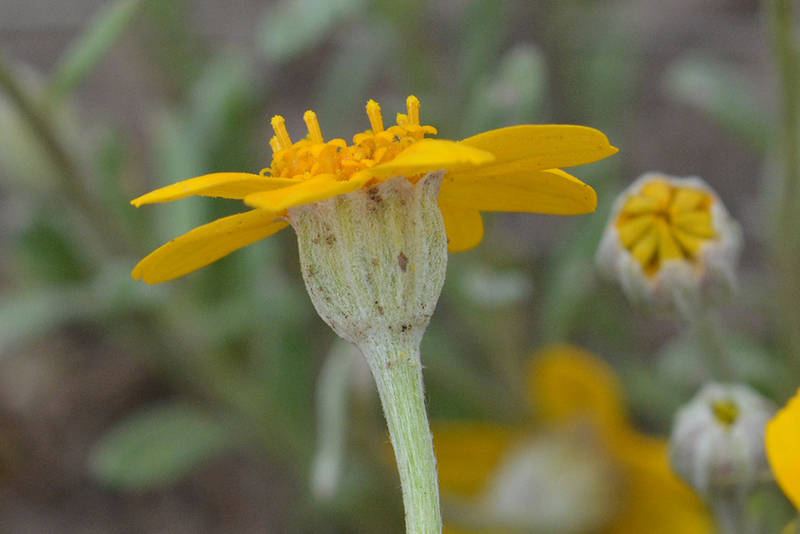 Male flowers have only anthers which barely reach beyond the petal tube. Females have 5 extended, curling stigmas ready to grasp the pollen relayed by a visiting pollinator. Once fertilized, over 100 seeds may form inside a dried capsule, to be shaken out by the wind, like grains of salt from a salt cellar. 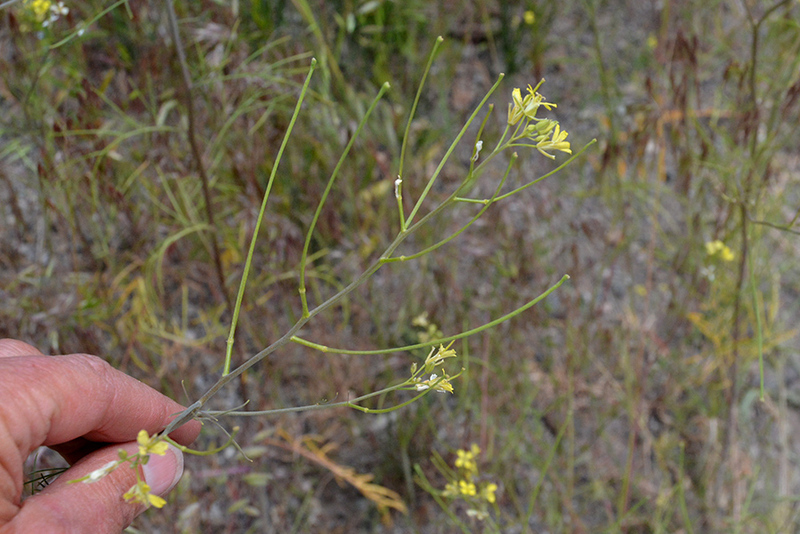 Females extend curled stigmas and have a more pregnant looking calyx than the male flowers. Bladder Campion is naturalized from Europe. A given plant produces male or female flowers, which are typically pollinated by moths at night. Male flowers of Bladder Campion have a relatively narrow calyx (“bladder”) and the anthers reach just beyond the flared petals. 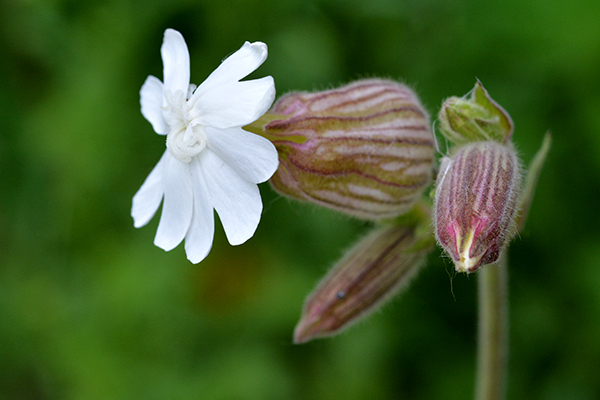 Female flowers of Bladder Campion have curled, elongate stigmas ready to adhere pollen from visiting moths. The bladder looks more pregnant. Tumble Mustard – Sisymbrium altissima – This 3-4’ tall, airy plant has ½”, 4-petaled yellow flowers and 3-4” very narrow fruits (siliques). The stem leaves are pinnately divided into narrow segments while the basal leaves are much broader and larger overall. This is a very invasive plant, which dries quickly, breaks from its roots, and tumbles its seeds across open spaces. It is hard to image the extensive impact these delicate looking plants of Tumble Mustard have on our environment. Tumble Mustards break off at their bases and tumble with the wind, releasing seeds across the landscape. 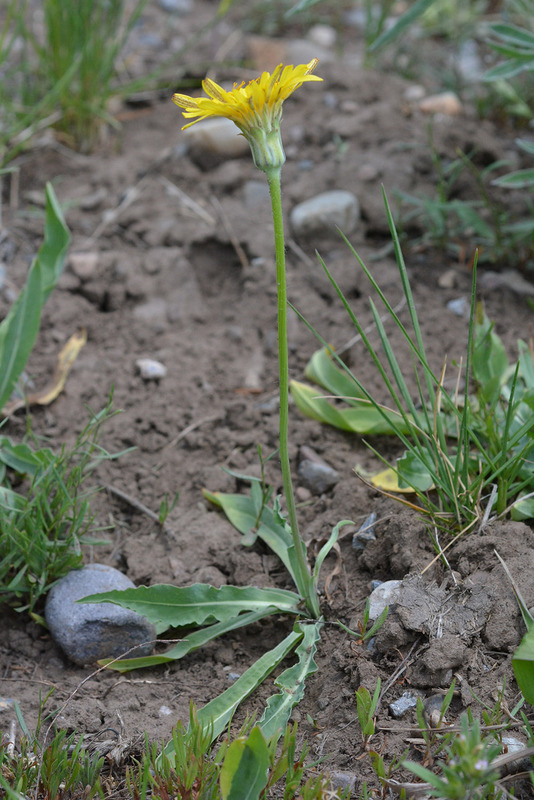 Salsify or Goatsbeard– Tragopogon spp. The giant dandelion-like flowers are seen here and there along roadsides and fields. Right now their flower heads are ripening into fluffy but often dingy, 3- 4” spheres. Each elongated seed has its own elaborate parachute. Take a close look! We host 3 species naturalized from Europe. Goatsbeard look a bit like a giant dandelions in bloom. 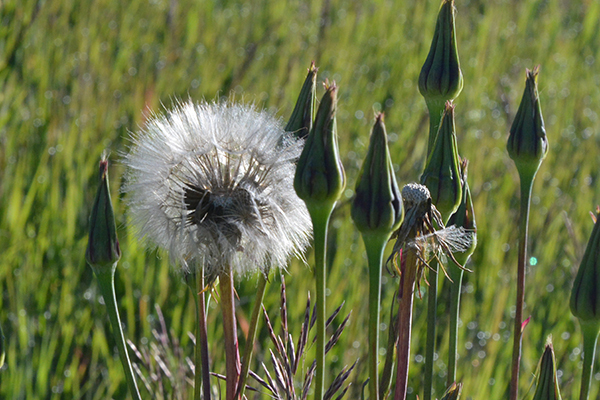 The spherical heads of Goatsbeard will soon shed dozens of seeds, each with its own parachute. 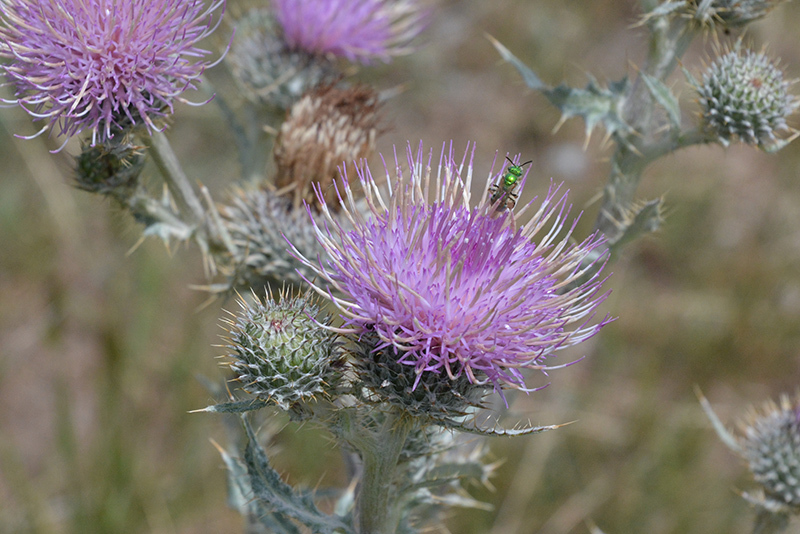 Thistles* – Canadian thistle (Cirsium vulgare) and Nodding or Musk Thistle (Carduus nutans) are just a few thistles from Europe targeted for eradication. These spiny plants overwhelm many pastures and grasslands. Musk Thistle is a daunting competitor in pasture lands. Musk Thistle can look a bit deranged, but glorious in its conquest. 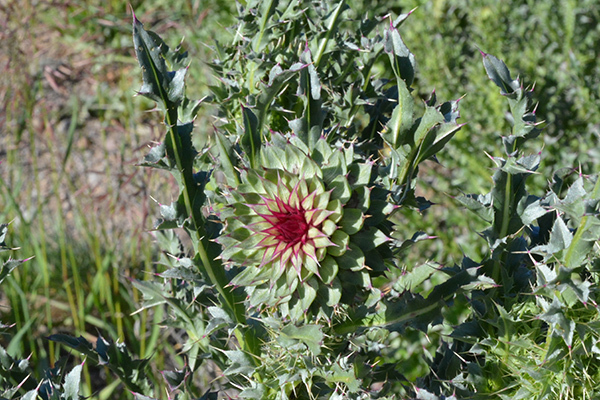 However, there are also native thistles, such as – Cirsium scariosum, which are highly beneficial to insects and larger wildlife. 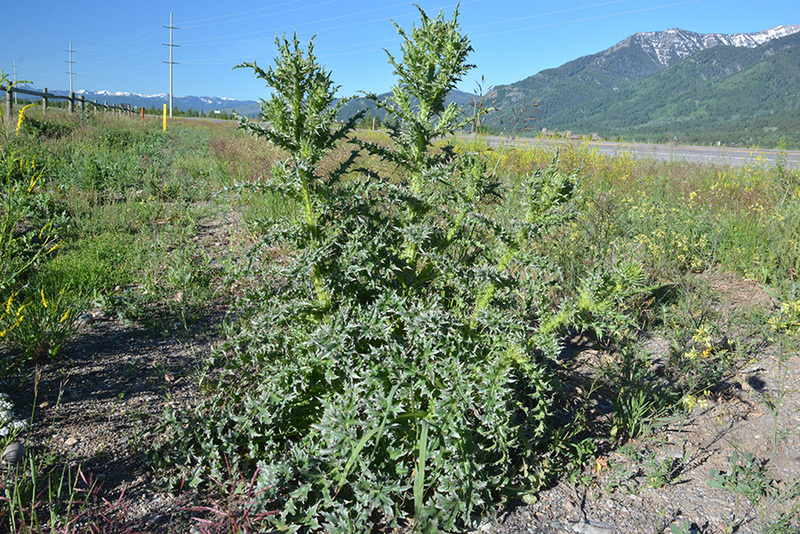 In a later blog, we will help you identify the native thistles from the exotic invasives. Native thistles. like Circium scariosum, can look a lot alike some invasive thistles. It is important to know the difference. Cirsium scariosum is a beautiful native thistle beneficial to wildlife of all sizes. So while you are driving, biking, or walking stop and take notice. Dissect the flowers. Examine the fruits and seeds. Smell and feel the leaves. Think about why these plants are so successful. And as always, we appreciate your comments, corrections, and questions. P.S. This essay is about native and non-native plant species. Absolutely no inference should be made to our many visitors or workers from around the country and world, whom I welcome here in Jackson Hole. “Waste” or disturbed habitats are interesting places to botanize. You are usually welcome to collect, dissect, and examine specimens. Just don’t spread them to new locations! 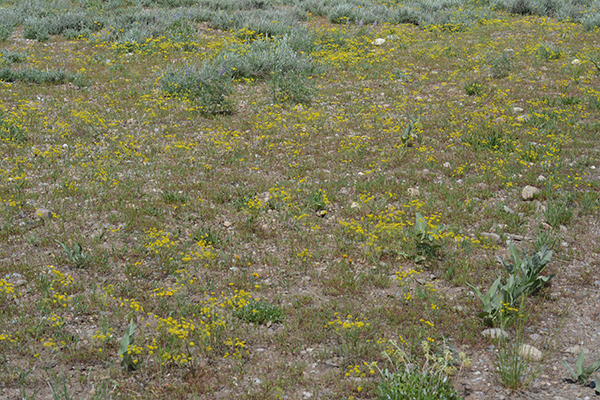 Since the last posting on Sage Habitat Wildflowers, Sulphur Buckwheat is now profuse throughout the park. Its creamy white billows of flowers are interspersed with red spikes of Scarlet Gilia and tiered towers of Blue Lupine. Nuttall’s Larkspur is still intermittent in the north end of the park along with various low-growing daisies (Erigeron spp.) and pussytoes (Antennaria spp). Wild geraniums are rampant on surrounding hillsides, too. 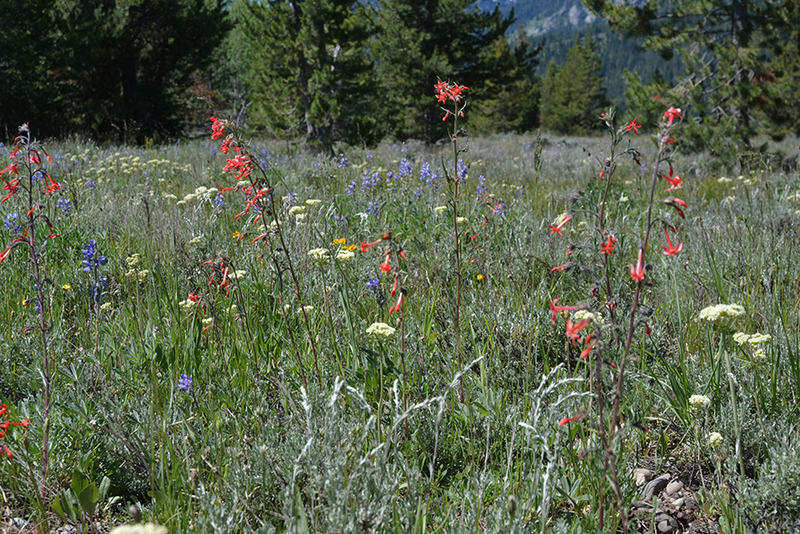 Lupine Meadows with Scarlet Gilia, Sulphur Buckweeat and Lupine (Lupinus polyphyllus). The flats around String Lake are also gorgeous. The following are fresh additions to the wildflower bouquet. One Flowered Sunflower or Helianthella is beginning to bloom in place of the fading Arrowleaf Balsamroot. Single, large sunflowers are borne atop 3-4’ stems. The 6” leaves have 3 strong nerves embedded in the elliptical leaves held opposite each other on the sturdy stalks. The plants grow in clumps on dry slopes. One-flowered Helianthella – Helianthella uniflora – has single 2″ flowers on strong, upright stems. Elongate leaves are mostly opposite and embedded with 3 obvious veins. False or Mountain Dandelion – Agoseris glauca varieties – Each plant has a single 1-2” yellow dandelion-like flower on a 6-10”-long stalk. The linear leaves are basal. In some varieties they are mostly smooth-edged, in others they may be roughly lobed. The bracts beneath the flower heads are neatly pointed and may or may not be hairy. Mountain Dandelion – Agoseris glauca – looks very much like a dandelion, but look closely…. 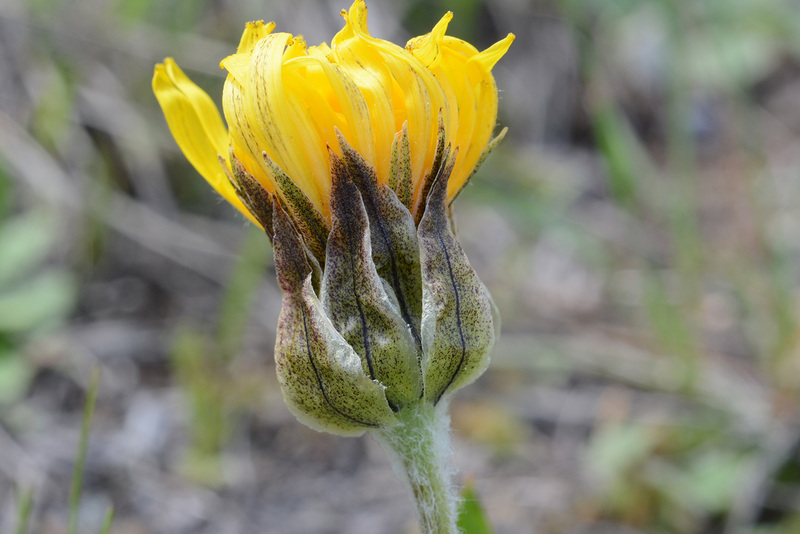 Mountain Dandelions have tidy, upward pointing bracts around each flower head. Each plant has one flower and the leaves are all basal and usually linear. However, the amount of teeth and lobing varies on the leaves and the flower bracts and stem may be more or less hairy. 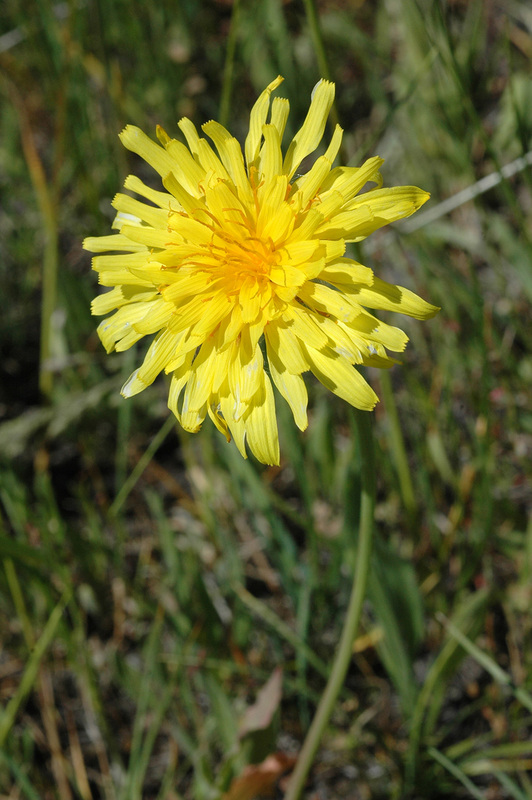 There are three distinct varieties of Mountain Dandelion. Woollyleaf – Eriophyllum lanatum – Just bursting out, these bright orange members of the aster or composite family attract a closer look. You will notice that the few bracts around each flower head are neatly arranged and woolly. The rounded “petals”, or actually ray flowers, have a slight variation in color from outer to inner surface, probably creating an ultra violet “bulls eye” for landing pollinators. The oblong to linear leaves alternate up these 8” stems. Woollyleaf is bright orange and grows in small patches usually 12″ high . The tidy, woolly bracts under the rounded ray flowers help to identify this species. Many composites can look alike! Manyface Groundsel – Packera (Senecio) streptanthifolia – A deeper orange yellow, and more compact in its growth form than the other common sagebrush denizen, Columbia Goundsel (Senecio integerrimus), Manyface Groundsel has non-hairy, lobed leaves on the stem and at the base. The leaves can be highly variable. Both groundsels are blooming in sage flats in the north end of the park. Another confusing composite are the groundsels. This one on Lupine Meadows is Manyface Groundsel, probably because the variable leaves make it difficult to ID. 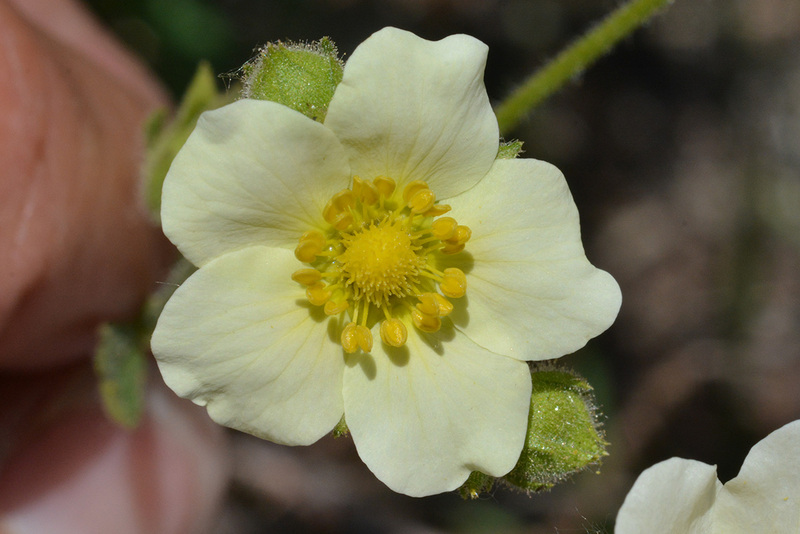 Cinquefoil – Potentilla spp. – Several cinquefoils are blooming now. Overall, they are a confusing group to distinguish. Botanists look at the leaves: are they palmately or pinnately divided. Are they hairy or smooth, and are the hairs glandular or not. Are they silvery? Taxonomists also examine the flowers: while all species have 5 sepals and 5 petals—usually some shade of yellow, they also count the anthers: 20 or 25 or 30. And most particularly, they look at how the stigmas are arranged on the many ovaries. A microscope helps! Cinquefoils hybridize and have many varieties. So let’s settle for Cinquefoil for now, unless you like botanical Sudoku. Cinquefoils are easy to idenitify to genus with their 5 sepals, usually yellow- to-cream colored 5 petals, many anthers and even more pistils. However, determining species is much tougher. It is a member of the Rose Family. 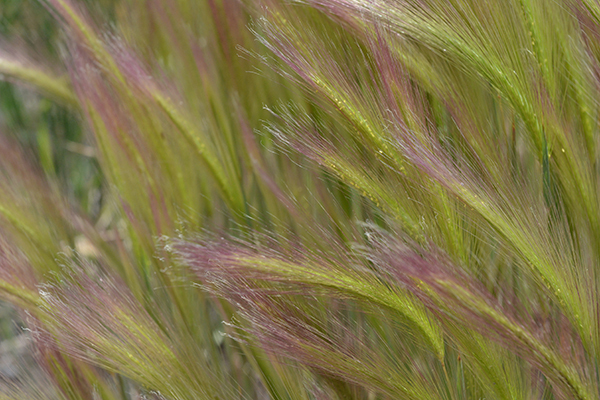 Grasses—Many grasses bloom in late June—those of us with allergies may have noticed. The pollen is carried on the wind to feathery stigmas of nearby relatives. One of the most elegant grasses on dry hillsides is Needle-and-thread – Heterostipa comata with its 8-10 inch needle-like “awns”. (Must be the needles of a giant!) Other grasses in bloom include bluegrasses, bromes, and fescues. Take a close look and see what is happening. 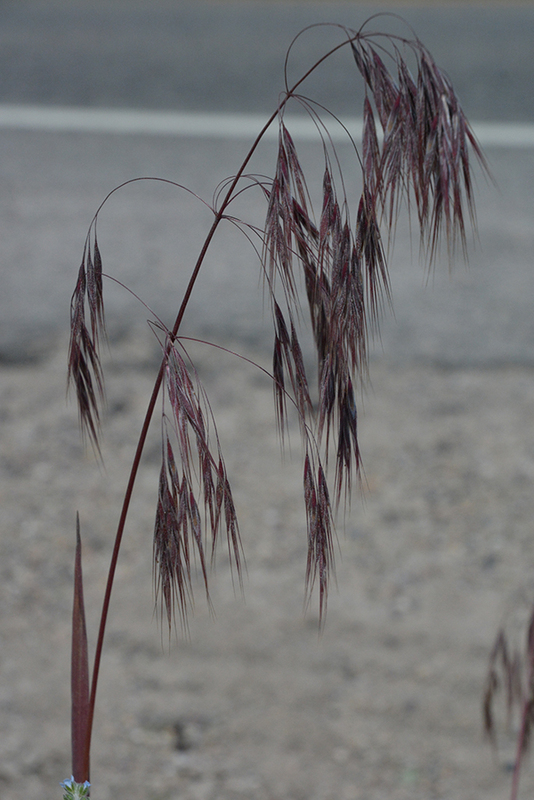 Needle-and-Thread – Heterostipa comata – has elegant but sharp “awns” 8-10″ long. It is in full bloom in this photo. Flowers are not showy as it is wind pollinated. The wind does not see or smell like our animal pollinators do. Sheep Sorrel — Rumex spp.– Two species of Sheep Sorrel are obvious right now. 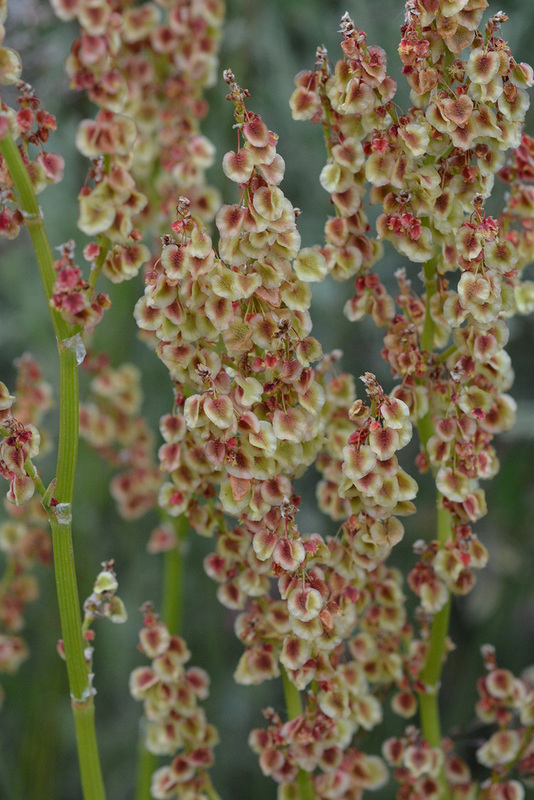 The more common Sheep Sorrel — Rumex acetosella — creates a 6-8” high rusty red haze along roadsides and in open areas. 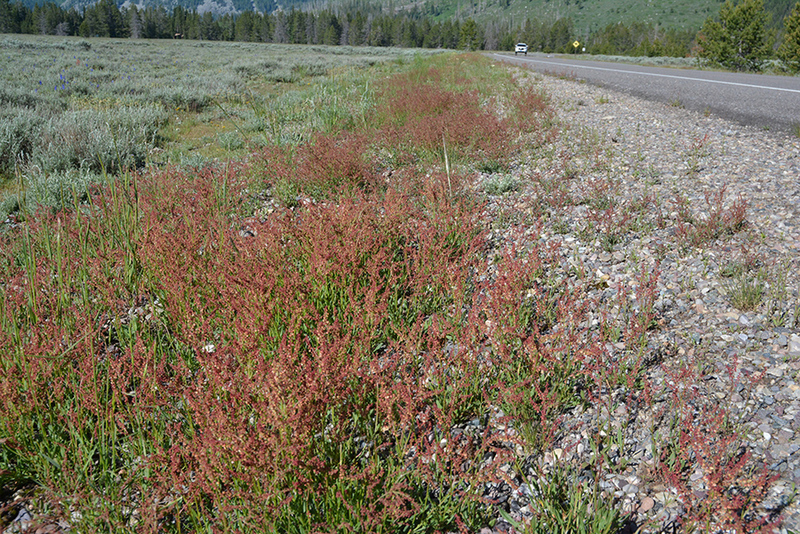 Along roadsides in Grand Teton National Park, you may notice the low brick red haze of Sheep Sorrel – Rumex acetosella. The 2-3″ leaves have elongated, spreading “ears” at their base. The flavor is tangy. Female plants of Alpine Sheep Sorrel – Rumex paucifolia – growing to 18″ or so. Both sorrel species have male and female plants. 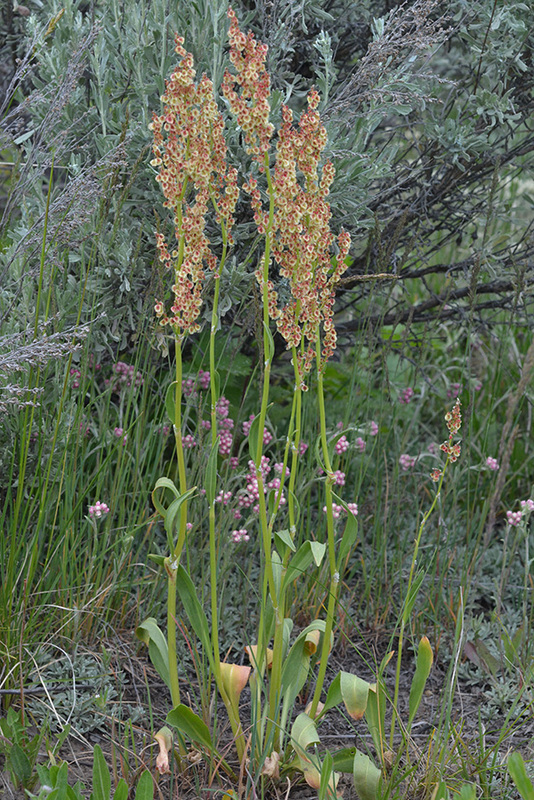 Alpine Sheep Sorrel – Rumex paucifolius – is more stand-alone and can grow to 2-3’. It often sticks up above low growing sagebrush. Its 4-6” leaves are entire (no teeth or lobes) and elliptical, alternating up the stem. Both sorrels have separate male and female plants. The roundish fruits are three-winged. The seeds are valuable food for birds and rodents. Alpine Sheep Sorrel, as in others of the genus, produce 3 winged fruits that are relished by small birds and rodents in fall. Prickly Pear Cactus – Opuntia fragilis – This spiny succulent is blooming on the rocks next to the parking lot at Kelly Warm Springs. Cacti store water in their stems, which also contain chlorophyll for photosynthesis. The spines are essentially reduced leaves and provide some shade as well as protection from predators. Hooked spines serve as a transport mechanism—as you will find out if you get too close! Cacti have a different photosynthesis cycle than most of our wildflowers, an adaptation to the intense sun, heat, and dryness of their location. 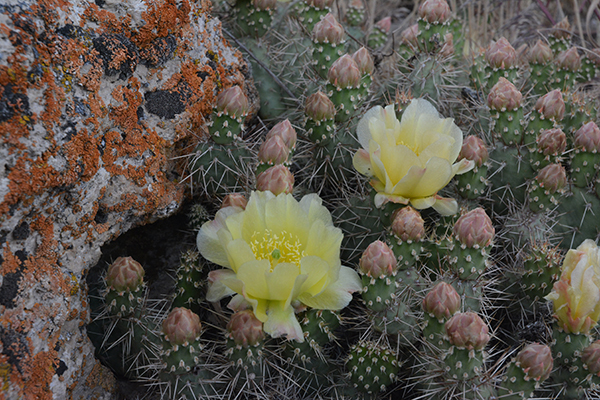 Prickly Pear Cactus – Opuntia fragilis – is blooming out at Kelly Warm Springs on the rocks. Watch out! Lanceleaved Stonecrop – Sedum lanceolatum – Another plant especially adapted to dry conditions, the leaves are succulent: swollen and fleshy, holding onto extra water just in case a drought occurs. Also, unlike most plants, stonecrops open their stomates (pores) only at night to acquire essential carbon dioxide without losing too much water. They retain Co2 until the sun comes up, and then it completes the photosynthetic cycle in the light with the pores closed. This complex chemical pathway is abbreviated as CAM, for your reference. The five ovaries are distinctive from one another creating a “crown” when they mature into fruits. Each section will split open releasing many tiny seeds. Stonecrops have special adaptations for very dry sites. Note the five petals 10 stamens and 5 separating follicules that will become the many-seeded fruits. 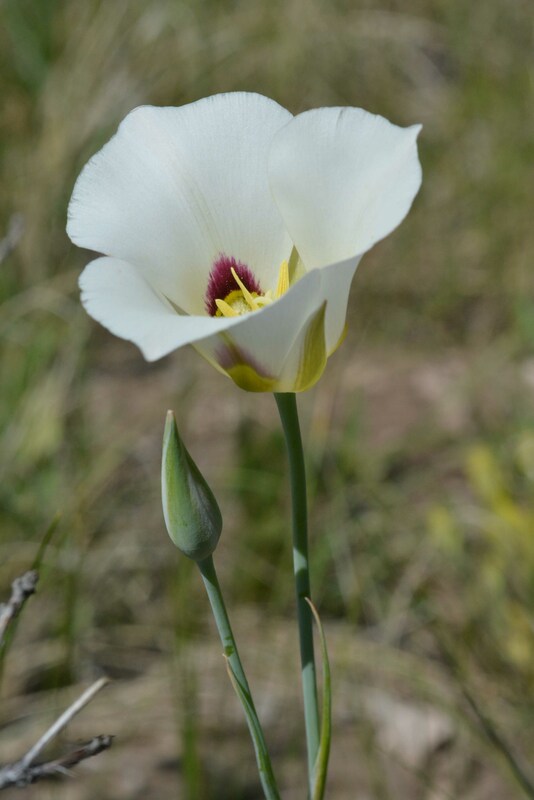 Nuttall’s Sego Lily – Calochortus nuttallii – This elegant chalice is blooming on dry rocky sites out Flat Creek Road up into Curtis Canyon, and likely along the Gros Ventre Road. They are very fragile. 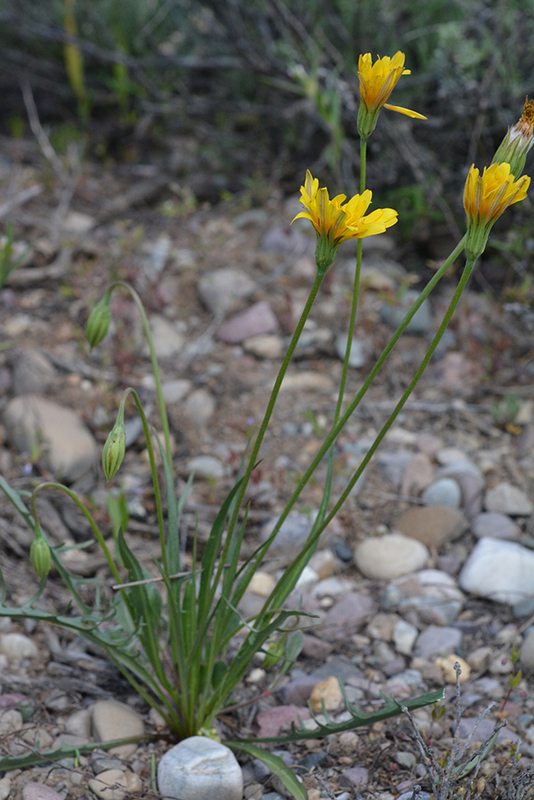 Nuttall’s Mariposa/Sego Lily is occasionally found on dry slopes overlooking the Valley. 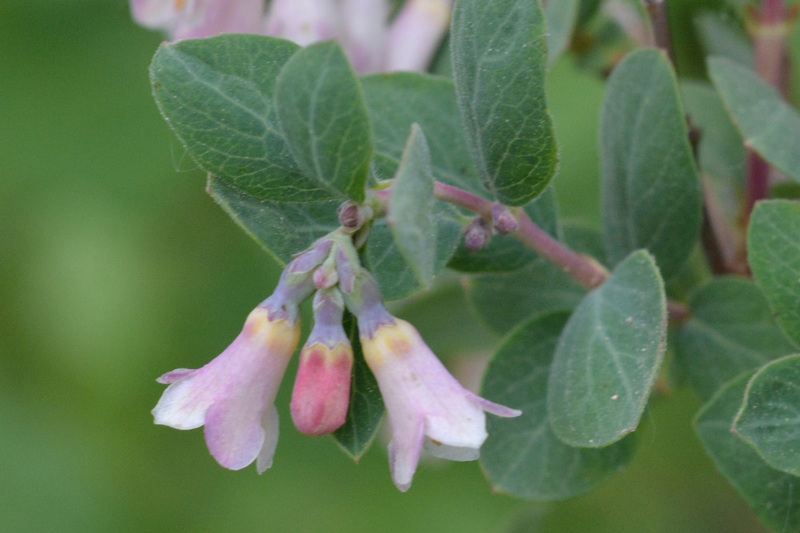 Mountain Snowberry – Symhiocarpus oreophilus – is flaring its pinkish petals to attract pollinators. The bluish green leaves are oval and opposite on the twiggy branches. The twiggy shrubs spread several feet while growing to 2-4’ high. The thickets often grow on moraines and provide excellent habitat for birds nesting and seeking cover. Mountain Snowberry – Symphiocarpus oreophilus – inhabits montane slopes, and sometimes into the sage flats. Soon these flowers will fade and the show will shift to the hills and into the forest and eventually up into the alpine. We have many pleasures ahead! As always we appreciate any corrections, questions, or comments. On this website, visit our calendar of events for our programs, and be sure to sign up for our tetonplants emails which will give you a exclusive heads-up for our “impromptu” hikes this summer. 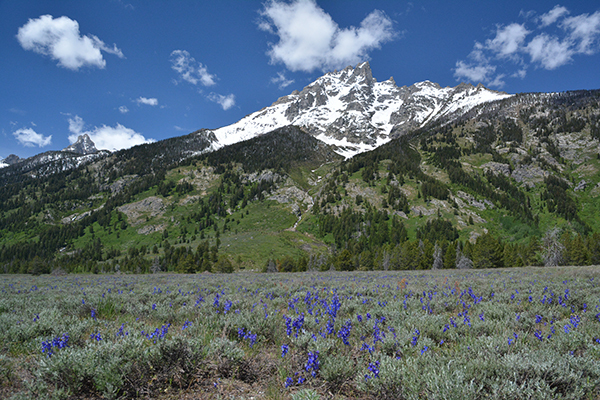 And special thanks to the Jackson Hole News & Guide, June 25, Valley section, for providing a map and photos to encourage us all to find the flowers. The weather has gone from summer back to spring (winter) today, June 14. The flowers have popped throughout the valley with the heat of the past 10 days. With little rain this spring, there is no time to lose to enjoy the riotous color and heady fragrances at lower elevations in the valley. 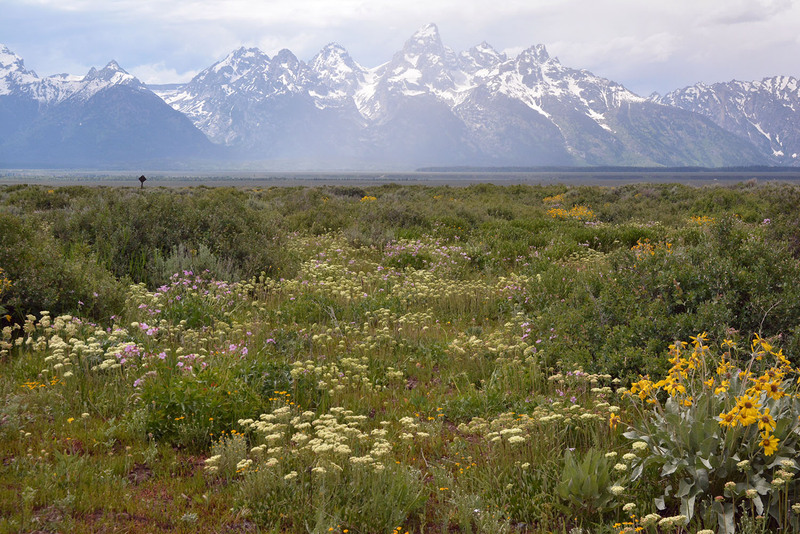 Fortunately, while flowers may be fading in the southern end of Jackson Hole, they are still fresh in the northern end. Balsamroot and the look-alike-but-not-quite mules-ears are in full yellow glory. Balsamroot (Balsamorhiza sagittata) has large arrow-shaped leaves with a grayish cast, all arising from the base. Sun-yellow flowers stand well above the foliage. 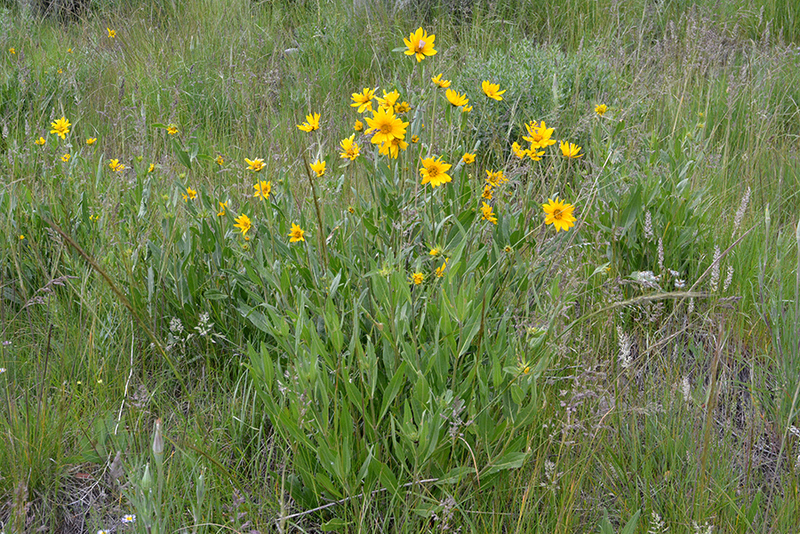 Balsamroot is growing all along the sage flats and up the open hillsides. Antelope Flats and the top of Signal Mountain feature impressive shows. 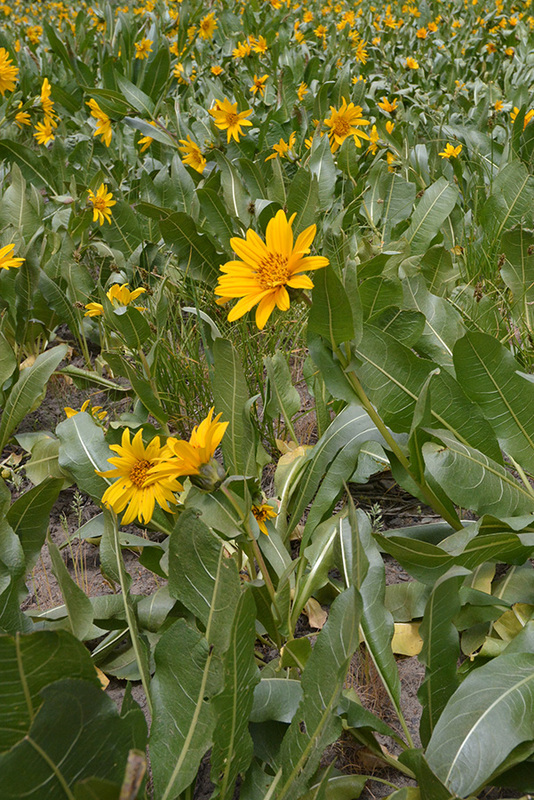 Mules-ear wyethia (Wyethia amplexicaulis) has deep green leaves shaped like huge mules ears, alternating up the 1-2’ stems (taller in wetter springs). 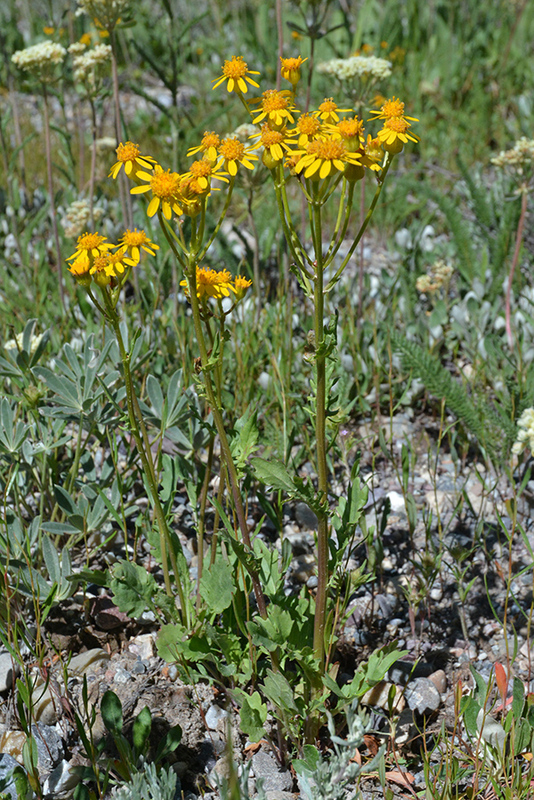 The 3-4” flowers are a deeper orange-yellow than balsamroot. 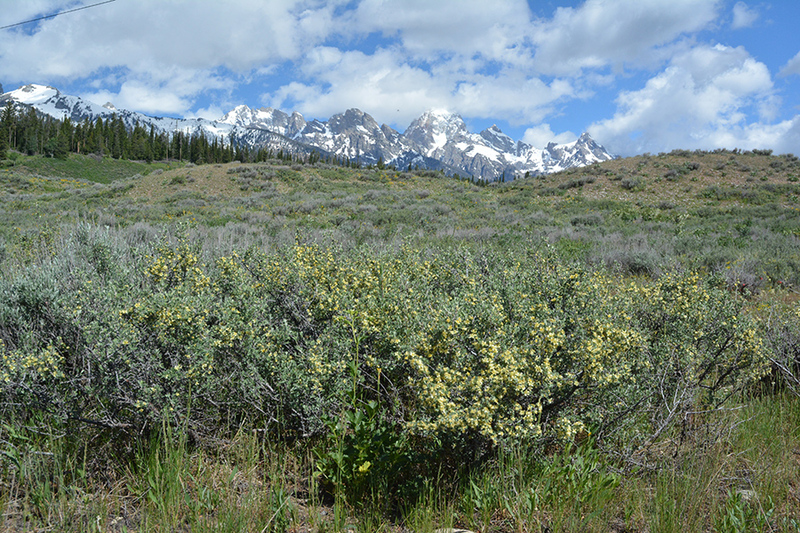 It is found in slightly moist spots, such as near the corner of Antelope Flats Road and the highway and along Cattleman’s Road just west of Oxbow Bend. 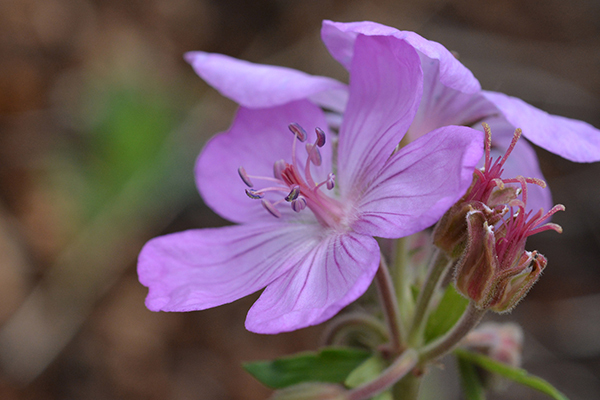 Sticky Geranium – Geranium viscosissimum – The wide open, pink flowers with lines form landing pads for many kinds of pollinators eager for pollen and nectar found in the center of the flower. 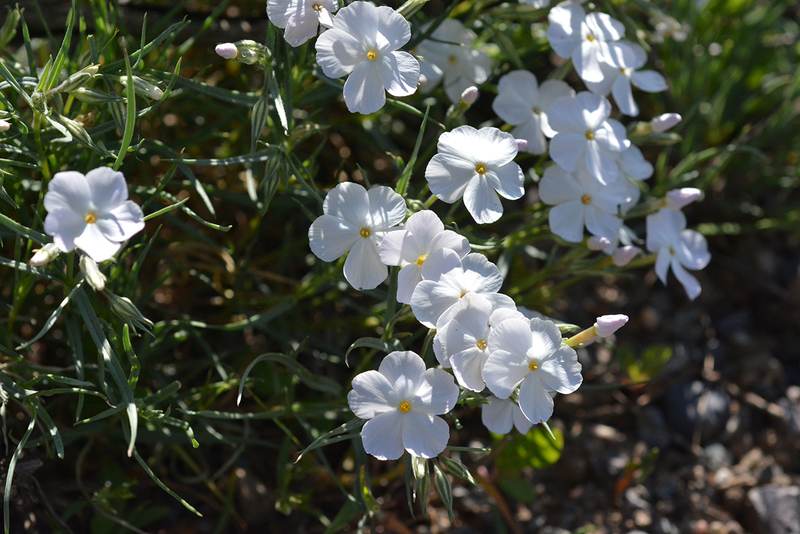 Longleaved Phlox – Phlox longifolia – has variable colors from pink to lavender to white. Note the petals twist in bud. Flowers are extremely fragrant! Death Camus – Zigadenus venenosus – is indeed poisonous. Racemes of cream colored flowers dress 1′ stems. Narrow leaves are mostly basal. 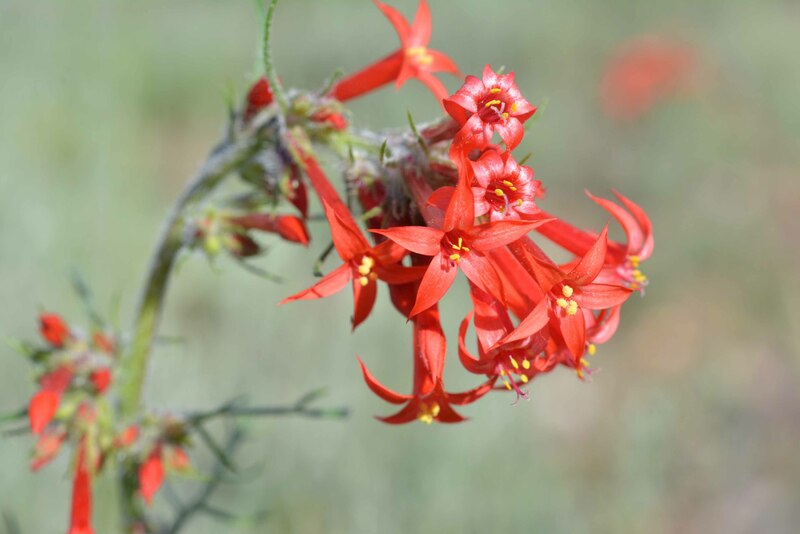 Scarlet Gilia – Ipomopsis aggregata – Tubular red flowers attract hummingbirds, but also other long-tongued insects. 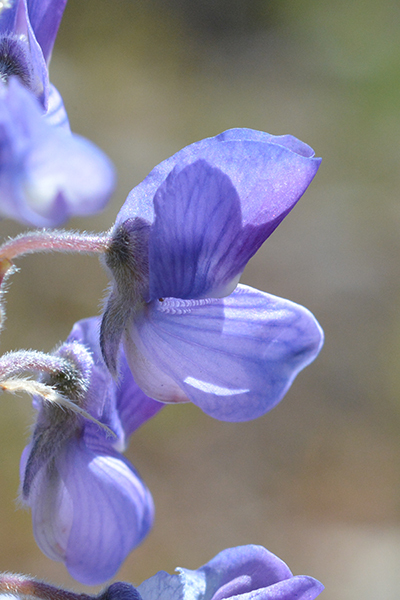 Bigleaf Lupine – Lupinus polyphyllus – found now on sage flats has a smooth “banner” petal and relatively large flowers which open wide. 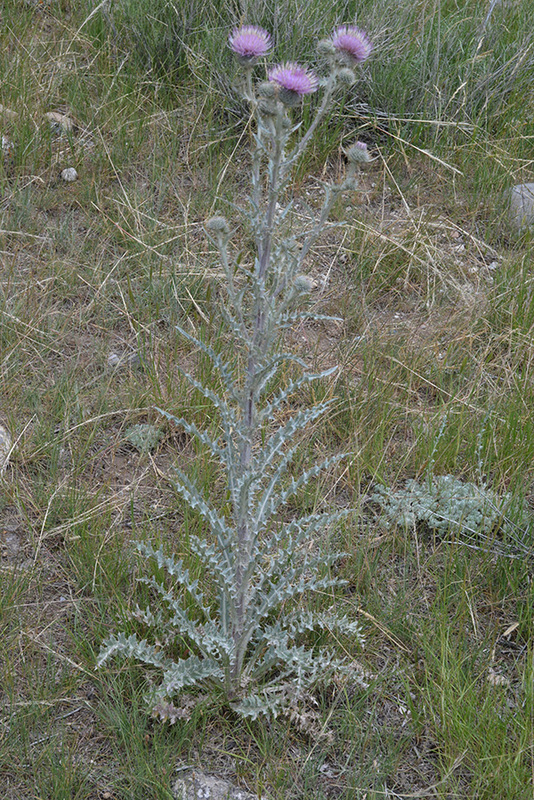 Silky Lupine – Lupinus sericeous – is also found on sage flats. There are 5 species to learn. 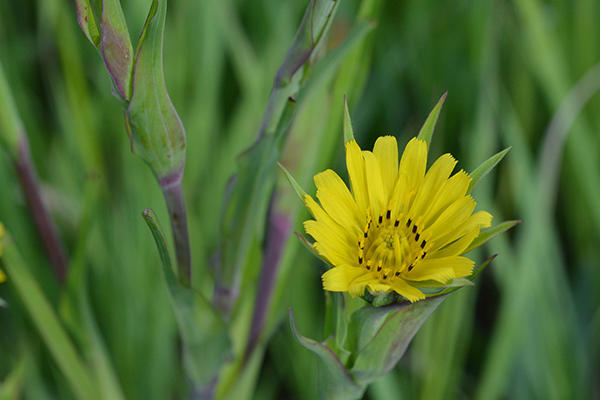 Modoc Hawksbeard – Crepis modocensis – The leaves are often pinnately lobed and alternate up the stem; the flower heads have black, stiff hairs. Several species. Desert parsley provides a persistent yellow haze along park roads and deep blue Nuttall’s larkspur is beautiful at Lupine Meadows right now. Lambs-tongue groundsel and nodding microseries, with its drooping buds and dandelion-like flowers, provide frequent splashes of yellow. A large sky blue penstemon (Penstemon cyaneus) occasionally finds a spot on gravelly slopes. Desert Parsely – Lomatium ambiguum – grows along dry, disturbed roadsides in the park. 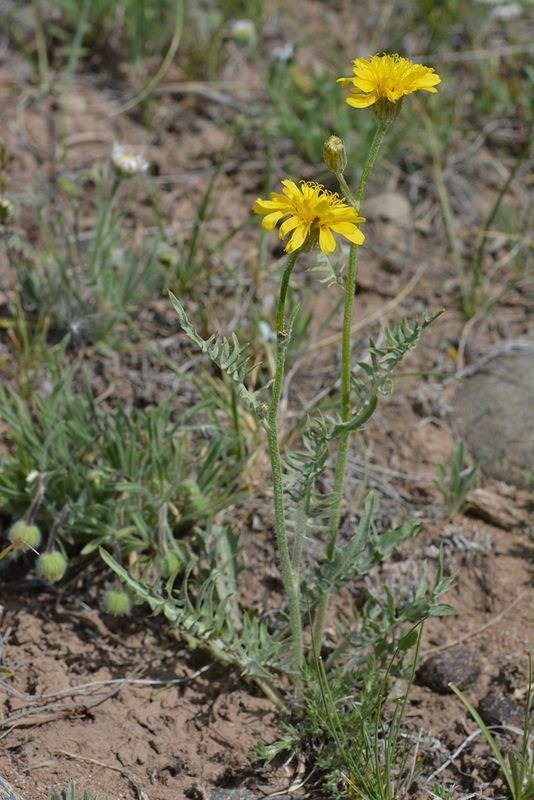 Lambs-tongue Groundsel – Senecio integerrimus – is common in sage flats. Look for the even- sized involucral bracts around the flower heads and the cobwebby hairs on the stem and variable leaves. 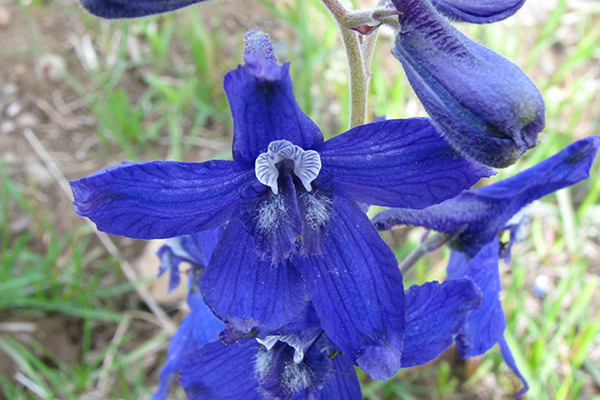 Nuttall’s Larkspur – Delphinium nuttallianum – has deep blue, complex flowers that bar many but the strongest and smartest pollinators, such as bumblebees. Nodding Microseries – Microseries nutans – looks a bit like a dandelion or an agrostis, but the buds droop and the pappus (fluff) is feathered. Leaves are mostly, but not, all basal and narrow. 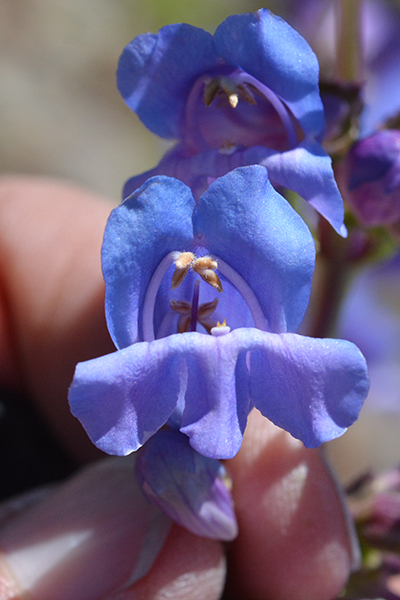 Blue penstemon – Penstemon cyaneus – Penstemon identification relies on hairiness of plants and even anthers! The anthers here are hairy on the back, slit open, and are held at an angle. The flowers and stem are smooth. Shrubs of antelopebrush (also called bitterbrush) perfume the sage flats with their small yellow flowers. 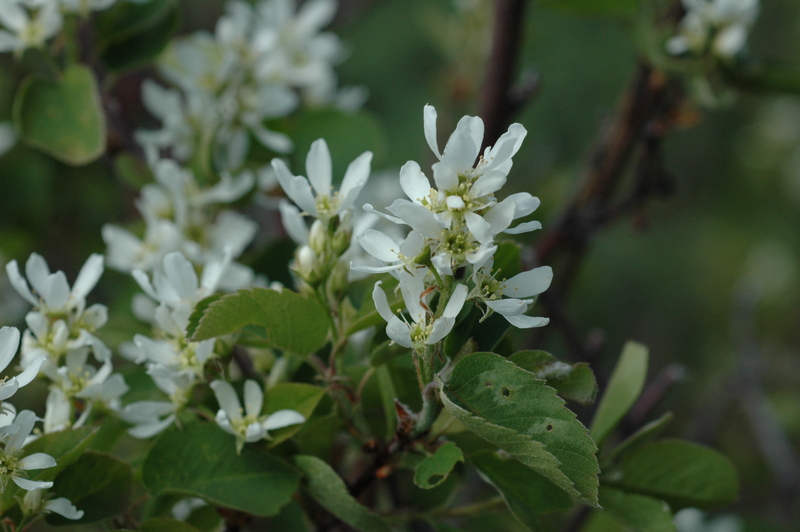 Serviceberry has short clusters of five-petaled flowers while black chokecherry has long wands of flowers that wave along the edges of moister hillsides, such as along the Moose-Wilson Road and Old Pass Road in the south and Oxbow Bend in the north end of the park. These two white-flowering shrubs are members of the rose family and will have berries important for bears, birds, and other wildlife come late summer into fall. 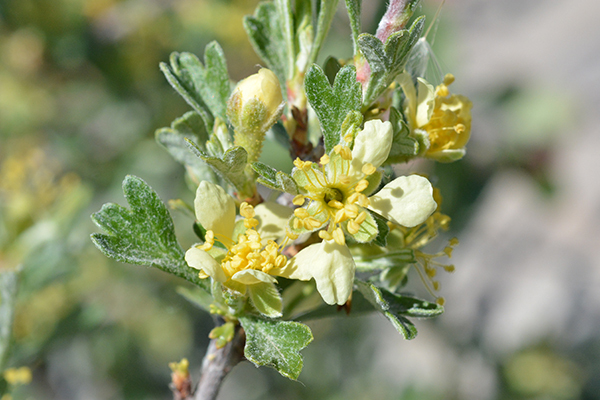 Antelopebrush – Purshia tridentata – has fragrant pale yellow flowers and three-pointed leaves. Moose reslish this plant in winter. 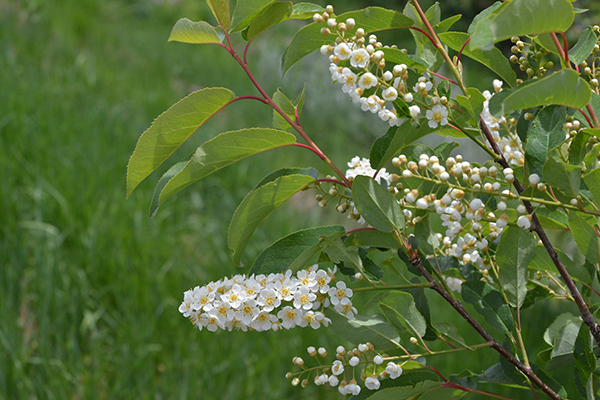 Chokecherry – Prunus virginiana – has long wands of flowers attractive to many pollinators. Fruits are vital to wildlife. Serviceberry – Amelanchier alnifolia – is in the rose family and produces delicious fruits for people and wildlife. Tent caterpillars will soon cocoon and metamorphose into moths. You may notice the tent caterpillars defoliating chokecherry. They build their silken tents where they capture the sun on spring mornings, warming the bodies of these industrious, spinning creatures. Soon they will cocoon individually and after a couple of weeks become moths. The caterpillars are protein bars for birds. Flat Creek Road through the north end of the National Elk Refuge features early Indian paintbrushes, one brilliant red (Castilleja chromosa) the other yellow (Castilleja flava var. rustica), which dot the dry ground. Low mats of pussytoes (Antennaria microphylla) and daisies (Erigeron spp.) spread through yellow patches of arnica (Arnica sororia, A. longifolia), stemless goldenweed (Stenotus acaulis) and a clump or two of blue humble penstemon (Penstemon humilis) rise along the hills to the north. Strong winds are challenging to their insect pollinators. 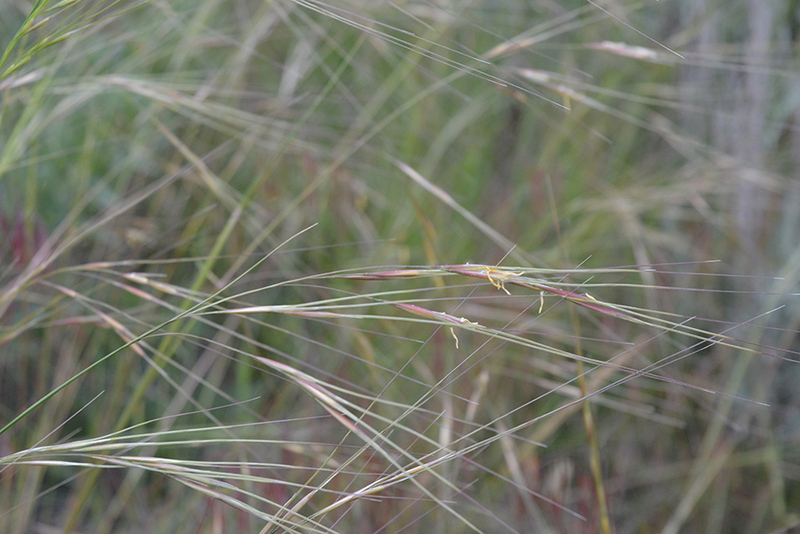 However, grasses are waving their miniature flower heads for the breeze to facilitate pollination. Soon sulphur buckwheat will add soft yellow hues to the scene. 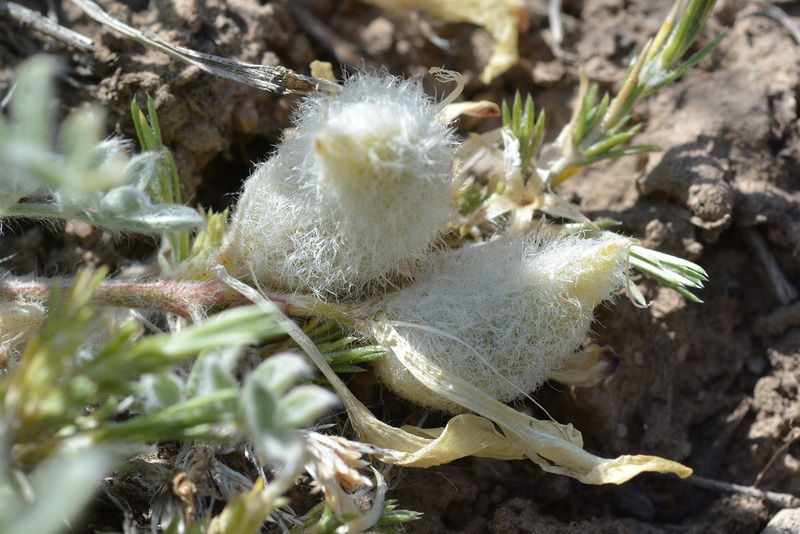 The fuzzy fruits of Pursh’s Milkvetch can be found lying on gravelly soils. 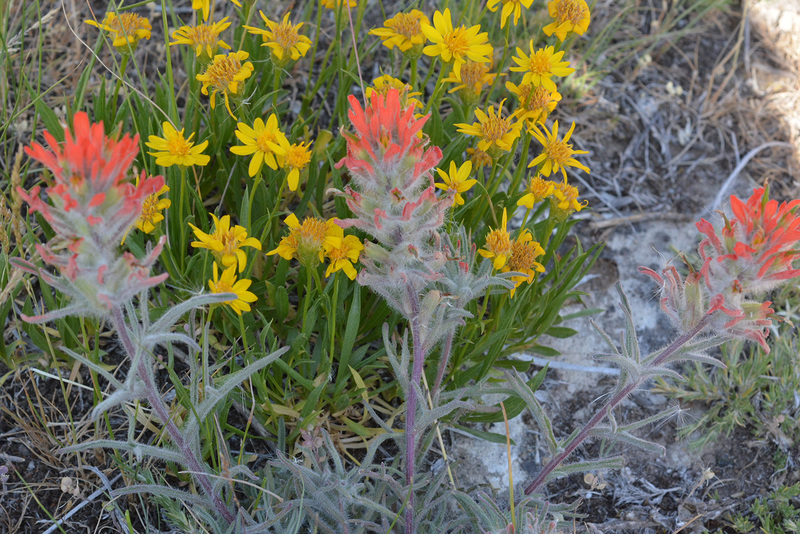 Red Indian Paintbrush with Stemless Goldenweed – Castilleja chromosa and Stenotus acaulis – grow out Flat Creek Road. 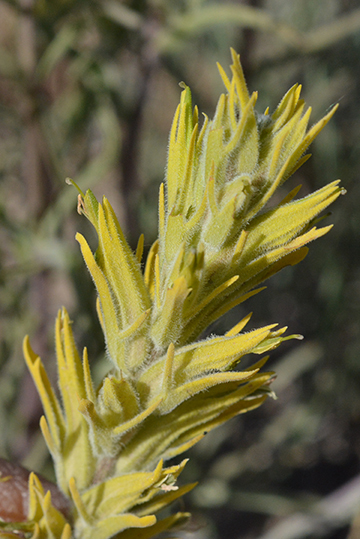 Yellow Indian Paintbrush – Castelleja flava var. 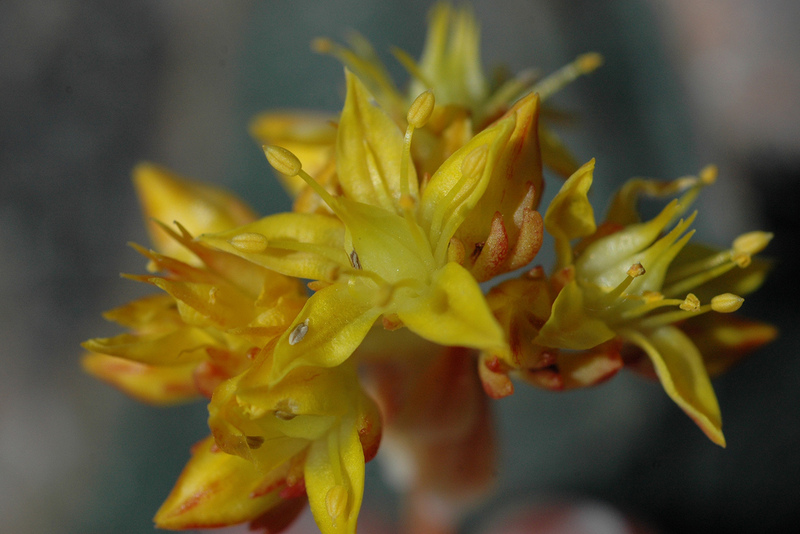 rustica – one of several yellow paintbrushes. The details are in the flower proportions and bract shape, as well as hairs and color. Not easy to ID. Rosey Pusseytoes – Antennaria rosea/microphylla – The small heads can be pink to white. Silvery leaves are small and create low tight mats. Several pusseytoes are in bloom right now. Fun botanical puzzles! 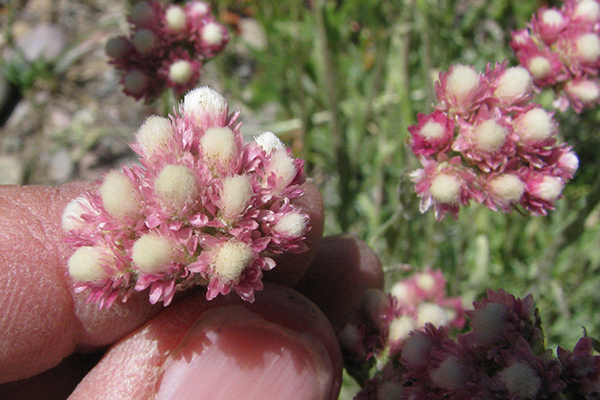 Sulphur Buckwheat – Eriogonum umbellatum – will soon be blooming throughout the valley. Pursh’s Milkvetch – Astragalus purshii – inhabits dry, exposed soils. The early spring, pea-like flowers form fuzzy fruits already! And finally, blue camas and white mule’s ears are in full spender in a wetmeadow at the north end of the park. 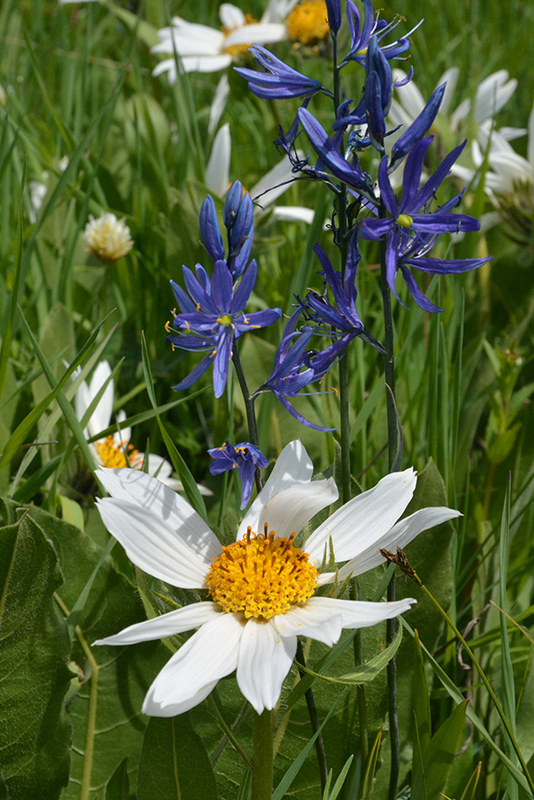 White Mules-ears – Wyethia helianthoides – and Blue Camas – Camassia quamash – bloom together in a wet meadow. These are just a few of the wildflowers to see right now–coming and going–this mid June. Please let us know what your are finding. White Mules-ears and Blue Camas in a wet meadow.